Big restaurants with few stars in its hat will not have this on its menu. Perhaps... its too easy, too simple for simple people with simple taste buds. 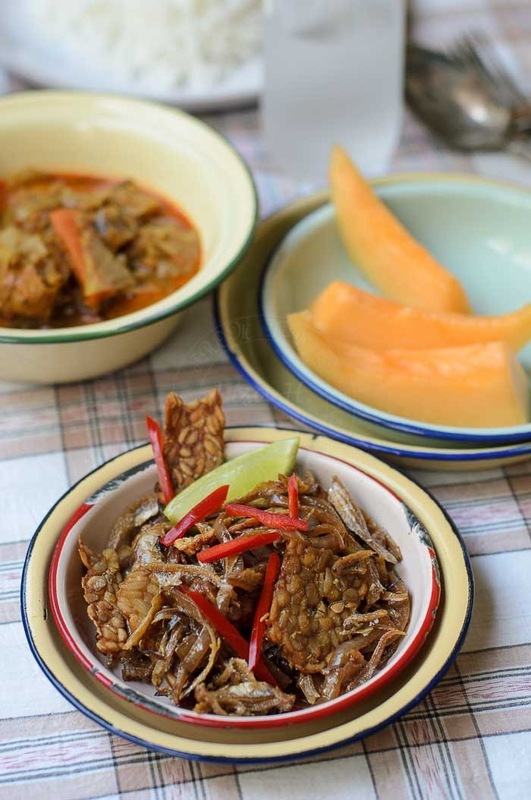 But you may be able to sample some Crispy Anchovies with Tempe / Ikan Bilis -Tempe Masak Kicap in a roadside warong (eateries). I love this kind of simple food... I could eat them everyday, with cut up bird's eye chillies, squeeze a little bit of lime, spoon the dish onto hot steaming rice. I used to buy dried anchovies from Asian grocer (fridge section), but not anymore. I find the packets of dried anchovies they sell are bigger, thicker and harder once fried!!! I had hard time chewing the next day. If I am not mistaken...they may be from Vietnam. 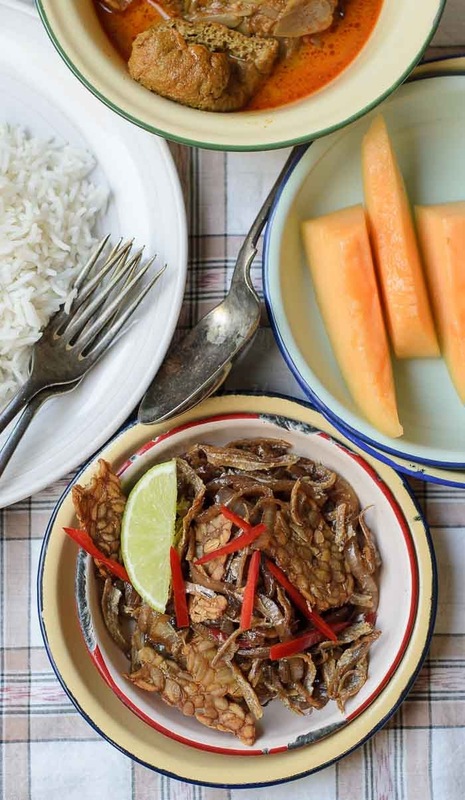 Malaysian dried anchovies are thinner and crisp to perfection when deep fried. It made an excellent condiment to coconut rice / nasi lemak or anchovies floss/ serunding ikan bilis to go with glutinous rice/ lemang. There are many variants to this dish, sometimes I add french fries or sliced, deep fried potatoes... this time... its tempe. Caution: you would want to fry your anchovies in a well ventilated place like alfresco... let the wind blow the 'fishy'-ness away, otherwise you whole house (at least kitchen and dining area...) will have that fishy smell for at least a week :)... No amount of glen 20 will do your kitchen any good!!! Heat up oil in wok (you can either deep fry tempe first (or brush with oil and bake in oven... ). Add kicap manis. Leave it to cool. 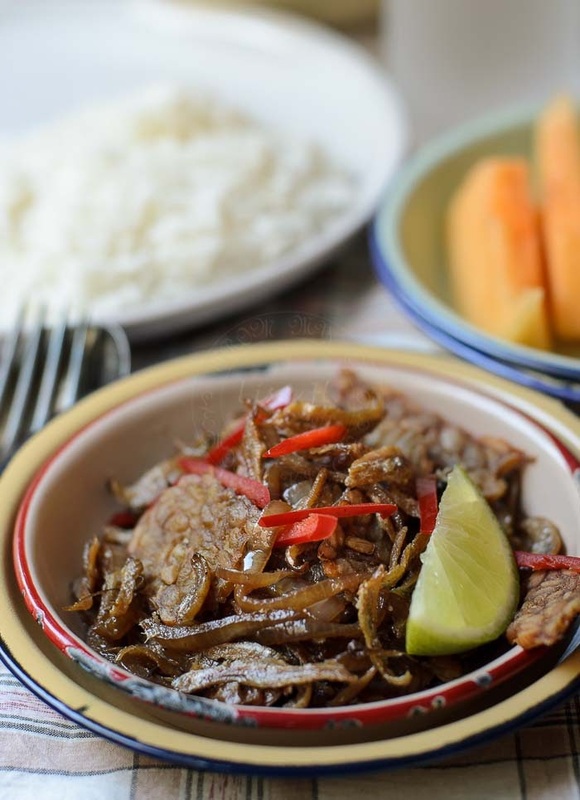 Serve with steaming hot jasmine rice.